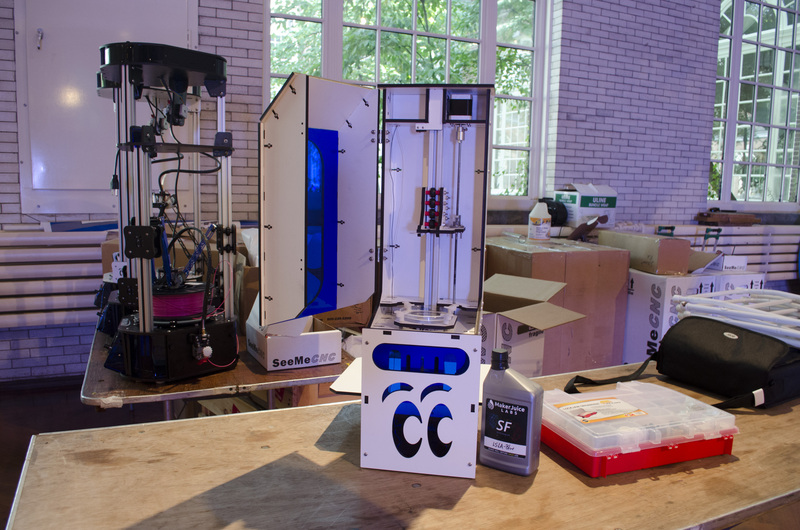 Today at Maker Faire Detroit, the team from SeeMeCNC unveiled a new printer: DropLit. Resin printers do not extrude material. Rather, these printers use a resin bath –such as MakerJuice Labs— which is selectively cured by light from a DLP projector. 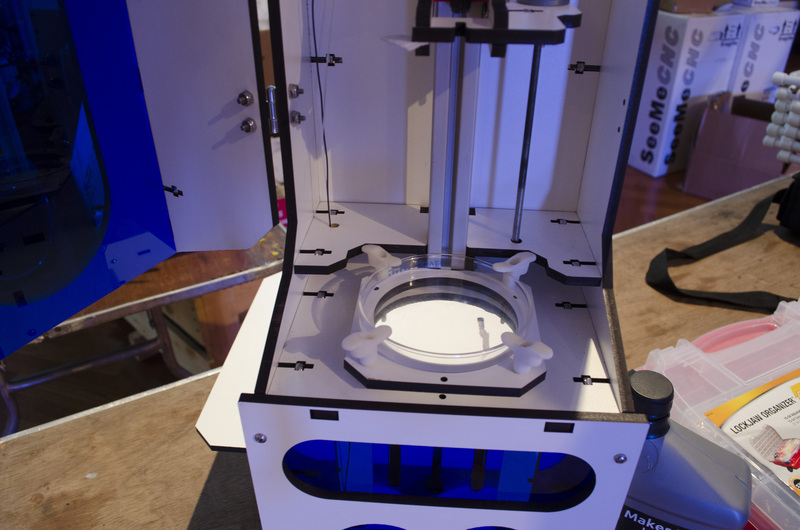 Traditionally, resin printers are not sold as kits and command prices starting around $2,000 and up. When they said this, they were probably referring to the B9 Creator, which is in that price range. John Oly and his team plan to keep the DropLit kit sub $600, but to do this they are excluding the costly DLP projector necessary for a fully functional resin printer from the kit. This same idea of leaving out the projector has been seen in a couple other DLP resin printer kits, such as the Sedgewick. The DropLit has a distinct advantage that it isn’t crowdfunded and comes from a group that is already selling and supporting impressive printers. 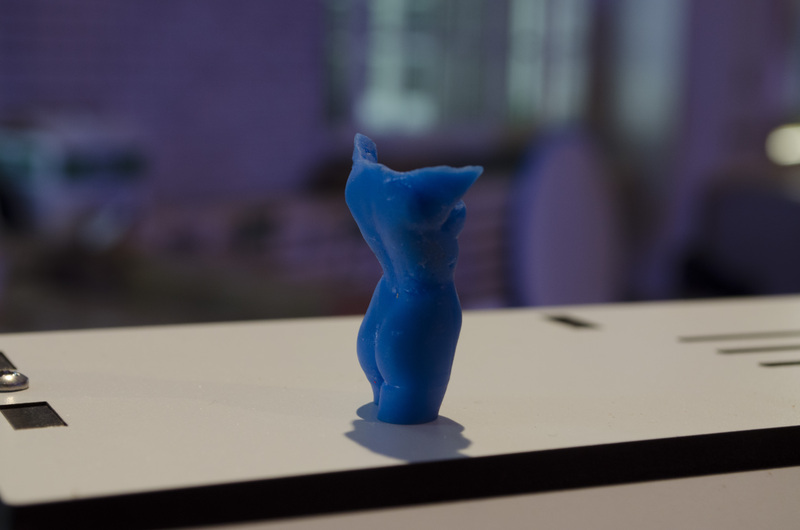 Oly believes that resin printers are the next big technical approach to 3D printing. He maintains that given higher adoption by the community, costs will fall. Supporting his case, he cites the cost decrease of 3D printers using extrusion and finds that Open Hardware communities such as RepRap the cause.